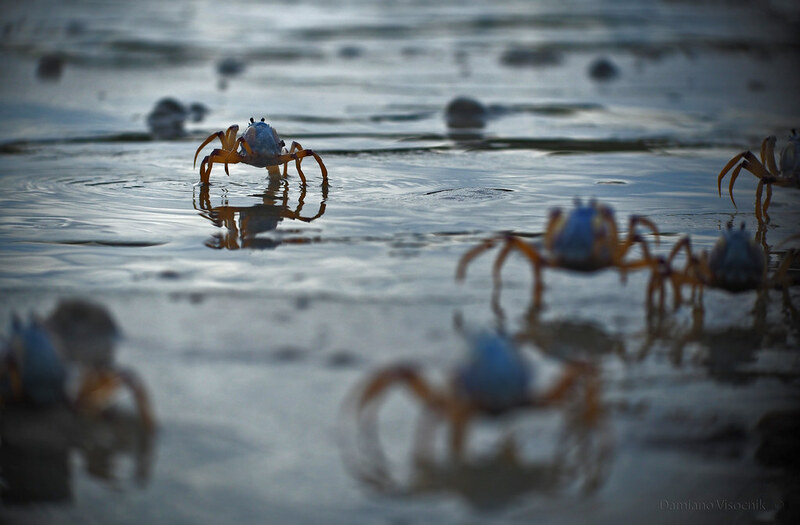 At low tide an army emerges from the sand and invades the edges of the shallow ponds. In their impeccable blue uniforms for a few hours they work hard at making "cannon balls". But as the tide floods again their conquered beach they retreat underground once more. 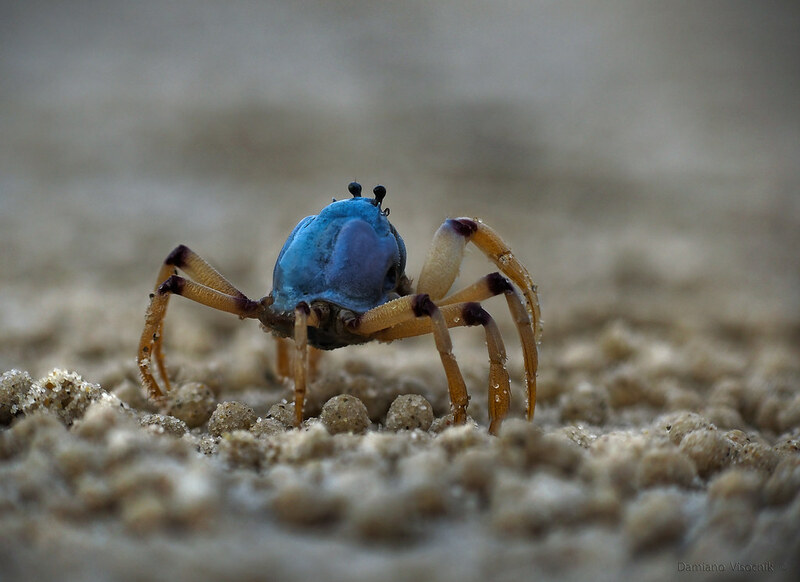 The relentless life of a soldier crab.